Drunk driving accidents in Florida claim thousands of lives – 12 percent more than the national average. West Palm Beach injury attorneys know it’s a serious problem especially in South Florida. 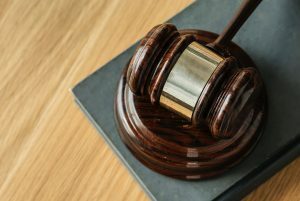 When it comes to liability, obviously the drunk driver can be held responsible, but there are circumstances under which others can be held responsible too. For example, there are dram shop liability cases, which in Florida per F.S. 768.125 only includes vendors who served alcohol to individuals who are either under the age of 21 or who are known to be habitually addicted to alcohol. Other states have broader laws for what encompasses liability. There may even be circumstances when one’s employer can be responsible. For example, some employers have been deemed liable for alcohol-related injuries (primarily drunk driving accidents) if they encourage employees to drink on-the-clock or compel workers to attend after-hours events consuming alcohol with clients, etc. These aren’t always slam-dunk cases, but a recent ruling out of Oregon shows that employers won’t necessarily be automatically entitled to a summary judgment either. The Oregon Supreme Court was asked to consider whether a woman paralyzed in a wrong-way drunk driving crash in which she herself was behind the wheel could sue her employer and boss for pressuring her to come to the outing and drink copious amounts of alcohol in the first place. She worked for a construction firm as a receptionist and despite turning down several offers to have cocktails at local bars with colleagues after work, her boss continued to ask plaintiff. She finally felt as if she could not say no and acquiesced. Then once there, her boss teased another colleague for attempting to leave after “just two drinks.” So plaintiff continued to drink – to the point she remembers nothing after the second. She drove home, ended up going the wrong way on a highway, crashed and was paralyzed from the neck down – a catastrophic injury known as quadriplegia. Could Employer Be Liable for Worker’s Choice to Drink? So early on in the case in question, the record notes that plaintiff’s efforts to sue the bar were dismissed. However, the case against her former boss/employer was allowed to continue. It was previously decided this was not a workers’ compensation case, as the trial court ruled the injuries did not occur in the course and scope of employment. This despite worker’s argument that it was a work-related function. Nonetheless, the negligence case against the boss and the employer survived the summary judgment phase after the state supreme court reversed both the trial court and the appellate court. Plaintiff argued her claims were not based on service of alcohol, but rather by negligent acts the occurred before alcohol was served. She argued alternatively that even if defendants were entitled to statutory immunity, then the law is unconstitutional. The state supreme court held that while statutory immunity for vendors and social hosts in accordance with the law is constitutional, it is only when those individuals are acting as social hosts and vendors that it is applicable. In this case, defendants in question were acting as other parties, and thus the claim is allowed to proceed to trial. West Palm Beach drunk driving attorneys know this kind of case would be very rare in Florida, as it is in Oregon, but any drunk driving injury – particularly one as serious as quadriplegia – deserves at least a discussion with an experienced civil trial lawyer to examine legal options for damages. Contact the South Florida personal injury attorneys at Halberg & Fogg PLLC by calling toll-free at 1-877-425-2374. Serving West Palm Beach, Miami, Tampa, Orlando and Fort Myers/ Naples. There is no fee unless you win.